April 23rd: Come out to the Bell House and have fun for a great cause! 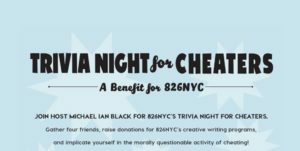 Bring friends, raise money for 826NYC's young authors and cheat in an amazing trivia game hosted by Wyatt Cenac. The MaxFun NYC team needs YOUR donations and support! 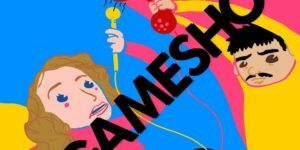 May 2nd: Jo Firestone and Manolo Moreno bring their cult-favorite Dr. Gameshow podcast (now on Maximum Fun) to Union Hall where audience members will compete playing listener-created games to win a special prize. 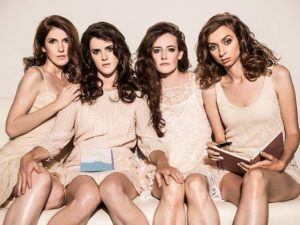 May 3rd: LA favorites Wild Horses are coming to Brooklyn! 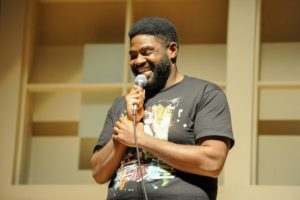 In their long-running show, The Perspective, they get cozy with each other in an engaging, hilarious, and candid conversation, followed by an improv set. It's kinda like The View...but the women are friends...plus drinking. Feb. 22nd: You know him from everywhere, and you just want to hug and squeeze him like a big stuffed bear. His easy going, inventive style sounds the way fresh chocolate chip cookies taste. June 26th: MaximumFun classic Jordan, Jesse, Go! 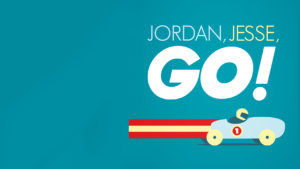 (JJGo) is coming to The Bell House! It's going to be a hilarious night of chat, guests and momentous occasions that are guaranteed to be shaved, no drama and 420-friendly. The Brokelyn Beer Book is a $30 booklet of 30 free beer coupons at area bars. It's a very good deal, just remember to tip your bartender.